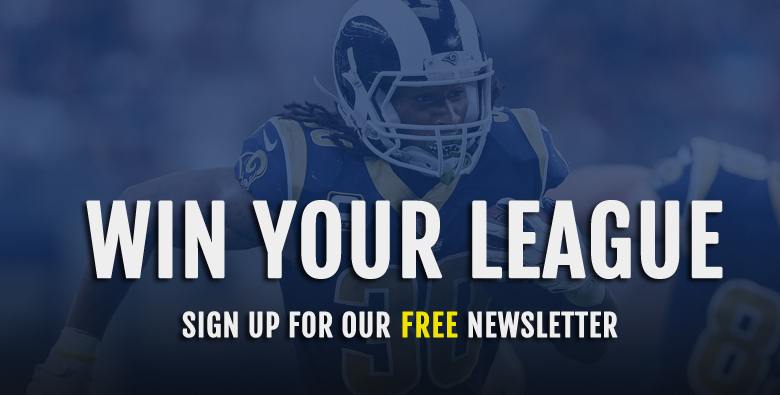 For some of you, this is the final push before your fantasy playoffs begin. For the rest of you, playoffs may very well be kicking off this week. Regardless if you’re are in the playoffs or are on the threshold of it, this is a big week for you. If you’re looking for some insight as to who to start and who to sit, you have come to the right place. Bye weeks have come and gone and with that, you should have a full slate of players to work with. For the most, last week’s column for Week 12 was a success. The highlights would go to Baker Mayfield, who finished as the fifth best quarterback, and Sony Michel, who finished the week as a top 10 running back. Other honorable mentions included names like Matt Breida and Cameron Brate. Unfortunately, there were a few blemishes which mainly came on Monday night in the form of Lamar Miller and Corey Davis. With all of that being, here are your week 13 starts and sits. I’ll grant you, in his first two starts, Lamar Jackson hasn’t exactly lit up his passing stat line. That being said though, the one bright spot in starting Jackson since becoming the starting quarterback is his schedule. That schedule is once again looking favorable in week 13 when Jackson and the Ravens head to Atlanta to take on the Falcons. Back in Week 1, from a fantasy standpoint, the Falcons would have their best game against the quarterback position. Since that time, it has been downhill as they have finished seven out of ten weeks in the top 10 in points allowed. It is impossible to discuss Lamar Jackson without addressing his rushing ability. With that in mind, it is important to note that the Falcons are also in the top 10 in rushing yards allowed to quarterbacks. With less than 15 passes in each of his two starts this season, it is understandable to be concerned. That being said though, as previously mentioned, it is hard to ignore the rushing ability and with 190 yards rushing over his two starts, there is nothing wrong with banking on an unconventional opportunity. No matter if it is due to suspension or poor play, the Buccaneers have been unable to rest on one player under center this season. Despite all of that, the Buccaneers quarterback position has been a good source of fantasy production. With that being said, it should come as no surprise that with three 300-yard passing performances in his four starts, I like Jameis Winston in Week 13. On top of being productive, I also like his matchup against the Carolina Panthers. When it comes to fantasy points allowed to quarterbacks, this Panthers defense is a lot like the previously mentioned Atlanta Falcons. After allowing the sixth-fewest points to quarterbacks in Week 1, they have consistently been in the top 15 in points allowed. How consistently you ask, eight out of their last 10 games to be exact. Getting back to Winston, in four out of the five games he’s played in since Week 6, Winston has finished as a top 15 quarterback. Between the matchup and the Buccaneers leading the league in passing yards, this is a no doubt play in Week 13. If you are a frequent reader of this column, you would be well aware that over the last few weeks, I have been a fan of Eli Manning. That being said, I did also mention that eventually, legitimate fantasy production would dry up, and that time is now. In Week 13, the Giants will welcome in a Chicago Bears defense that is allowing the eighth-fewest points to the position. One of the biggest parts of their ranking is their league-leading 20 interceptions. Coupling that number along with a quarterback in Eli Manning, who has thrown 20 interceptions since the start of last season, and I fear this may be an ugly start for the long-time Giant. 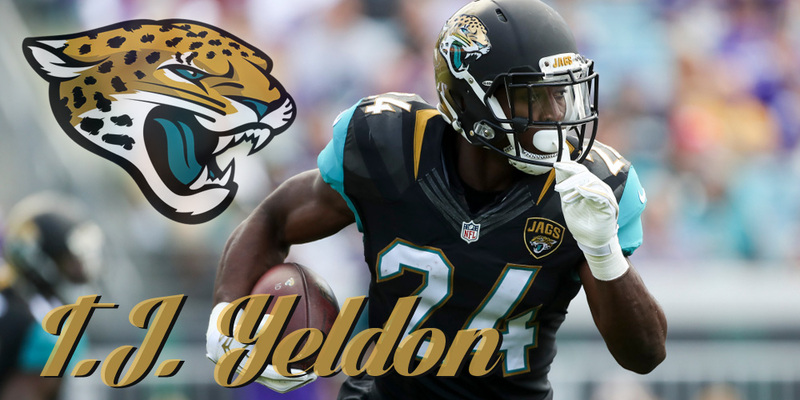 With Leonard Fournette being suspended for one game due to unsportsmanlike conduct, the floor is once again open for TJ Yeldon to be a fantasy relevant option. Earlier this year, when Fournette went down with a hamstring injury, Yeldon was able to have the backfield all to himself. This time around, Carlos Hyde is there to help take on the workload. That being said, as a member of the Jaguars, Hyde has yet to receive one passing target and for a running back, like Yeldon, that is leading his team in receptions, the Indianapolis Colts represent a promising matchup. The Colts are one of just two teams to allow 80 or more receptions to running backs. On top of that, they have also allowed the fourth most receiving yards with 648 yards. Just last week against the Colts, the Dolphins running back, Kenyan Drake hauled in five receptions for 64 yards and a touchdown. I would use those numbers as a barometer when figuring Yeldon’s potential success. The Jaguars may be a hot mess, but I like Yeldon to take advantage of his Week 13 opportunity. Given the starting percentage, this selection may be a bit of an eye-opener. That being said though, coupling recent usage along with the opponent, I feel like Tevin Coleman may be a player to sit this weekend. As previously mentioned, in Week 13, the Falcons will welcome in the Baltimore Ravens who are winners of two straight. While most Ravens talk is centered around Lamar Jackson, their rushing defense is allowing the third fewest points in the league and should not be overlooked. Really what is alarming here is that Tevin Coleman has had just eight carries in each of his last two games. His fantasy day was salvaged on Thanksgiving night when he was able to score a receiving touchdown. That touchdown would be his first score since Week 9. 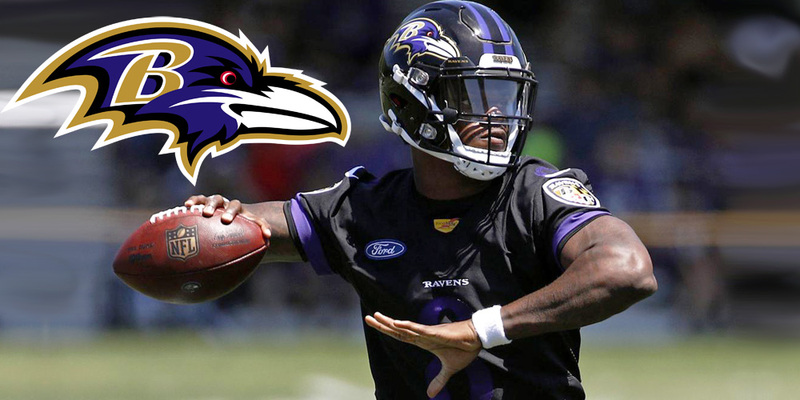 Attempting to salvage his day via the pass may be easier said than done against this Ravens defense that has allowed just two receiving touchdowns and a league-low 303 yards receiving. Again, a lack of carries and the opponent has me feeling a bit gun shy here. When it was announced late last week that Devin Funchess would be unable to play, a report from Rotoworld had suggested that this could be a multi-week injury. If Funchess does miss Week 13, I like for DJ Moore to continue a nice string of production. Since Week 11, the rookie wideout has had 15 receptions for 248 receiving yards and one touchdown. Mind you, those games came against opponents who ranked outside of the top 10 in points allowed to wide receivers. This week, the Panthers will have a much more favorable opponent against a Tampa Bay Buccaneers team that is allowing the fourth most points to the position. 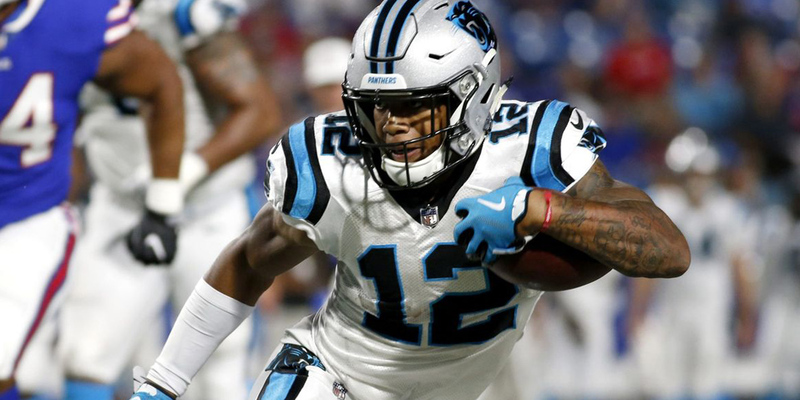 Couple all of this with the news that Curtis Samuel missed practice on Wednesday with a sore hamstring and DJ Moore’s value is simply too great to pass up. Back in Week 11, DeSean Jackson had suffered an injury to his hand which now has him visiting a hand specialist in New York. While we wait for a verdict on Jackson’s appointment with the specialist, his absence may bring more opportunity. 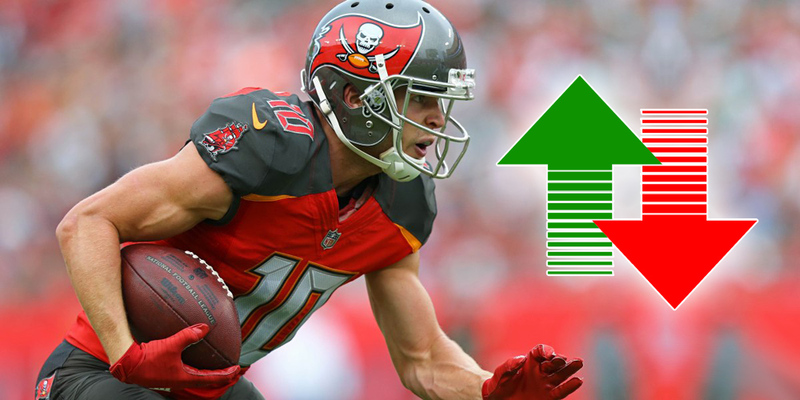 Regardless of how that turns out, I love Adam Humphries to be a fantasy relevant option in Week 13. Over the last four weeks, Humphries has scored four touchdowns which puts him just one shy of star receiver and teammate, Mike Evans. His finest game of the season came back in Week 9 against this same Panthers defense. Humphries would finish Week 9 catching all eight of his target for 100 yards and two touchdowns. That performance would have him finishing the week as the number two wide receiver in fantasy. As far as the Panthers, it was mentioned earlier when discussing Jameis Winston that the Panthers defense has been struggling as of late. In two out of their last three games, the Panthers have been in top three in points allowed to wide receivers. That’s not even counting that Week 9 encounter with the Buccaneers when Humphries ran wild. If he keeps up this pace, Humphries could wind up winning you a fantasy championship. The firing of Hue Jackson has brought on a bit of success in Cleveland. Since that day, the Browns have won two out of three games and have scored 20 points or more in three straight games, something they hadn’t done since 2016. It hasn’t been great for everyone though, most notably Jarvis Landry. Since Freddie Kitchens took over play-calling duties, Landry has seen less than 10 targets in each of the Browns last three games. That is a big contrast from Weeks 3 through 8 when Landry saw 10 or more targets in each game. While this may not be as shocking given Landry’s history, the Browns pass catcher hasn’t scored a touchdown since Week 7. On top of a lack of production, the Browns will head to Houston to take on a Texans team that is allowing the sixth fewest points and the eighth-fewest yards to wide receivers. Since Week 9, the Texans have only had one week in which they allowed more than 20 points in a game to the wide receiver position. This game will be a big test for Baker Mayfield and I’m not sure if I’m willing to bank on Landry. Last week, Cameron Brate graced this column and wound up finishing just outside the top 10. If and when Brate does produce for fantasy, it will not be due to accumulating yards and receptions as much as it will be by scoring touchdowns. The best example of that is in Brate’s three best games this season. 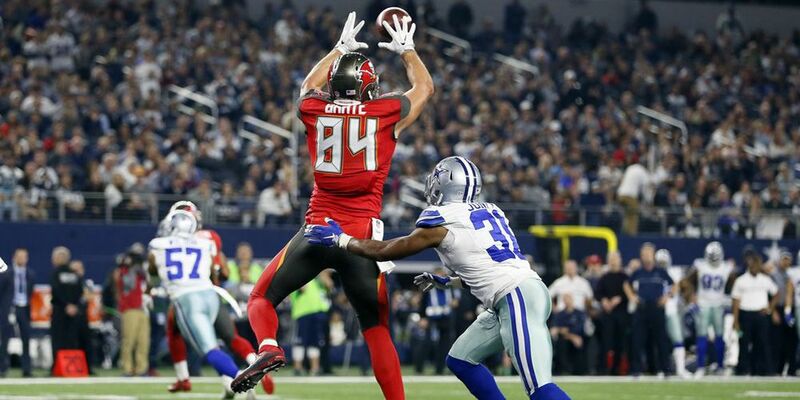 In each of those three games, Brate has had three receptions and one touchdown. I like that production, if not better, to continue in Week 13 against the Carolina Panthers. Working into Brate’s favor, the Panthers are one of just three teams to allow a league-high eight touchdowns to the position. It is those kinds of numbers that have the Panthers allowing the second most points to the tight ends. Again, Brate is touchdown dependent so in full point per reception leagues, you can also look at players like Jordan Reed, George Kittle, and Greg Olsen. In half point and standard leagues though, you can do a lot worse than Cameron Brate. I always feel like I should acknowledge when I select a player with a low start percentage. Yes, it is just 4.1% but that is still 4.1% of the fantasy community that could I potentially help avoid a dud. Isn’t that kind of the point of this article? Anyway, in four out his last five games, Chris Herndon has been a nice plug and play. He has had touchdowns in Weeks 6 through 8 and on top of that, last week, Herndon would wind up with a season-high eight targets. If you have been cashing in on Herndon, I would look elsewhere this weekend. The main reason is the Jets Week 13 opponent, the Tennessee Titans. After 11 games played, the Titans are allowing a league-low average of 5.4 points to the position on a per game basis. This is also a Titans defense that is the only team in the NFL to not allow a touchdown to the tight ends. If you’ve been paying attention to the NFL world this week, this pick seems obvious as the Jaguars are in a downward spiral. This week, they fired their offensive coordinator, benched Blake Bortles, and oh yeah, Leonard Fournette has been suspended for one game due to unsportsmanlike conduct. Cody Kessler will start at quarterback for Jacksonville and while he will check down a ton, he will have his fair share of problems. The Indianapolis Colts defense is one of six teams to have 20 or more takeaways on the season. One would expect the Colts to add to that total this Sunday. While I’m expecting the Ravens to shut down the Falcons rushing attack, what concerns me here is Matt Ryan and his passing numbers. While he hasn’t thrown for more than two touchdowns since Week 9, he hasn’t thrown for less than 250 yards in a game. On the season, the Falcons have had just twelve giveaways. No matter if the Ravens are able to keep the Falcons’ offense at bay, I don’t think their defense is going to give you the return that you’re looking for. Thanks and Good Luck this week!